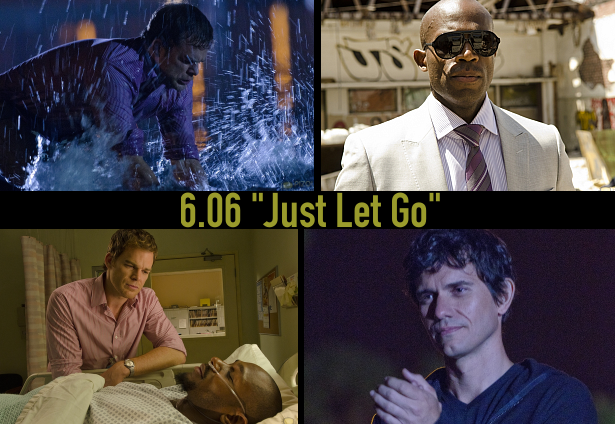 Tonight: the re-run of the sixth episode of season 6 "Just Let Go" on Showtime. The episode was written by Jace Richdale and directed by John Dahl. Dex is caught up in a very personal case that awakens the needs of his Dark Passenger; Debra feels overwhelmed by her new Lieutenant duties, made all the more complicated when she finds out Quinn slept with a witness in the Doomsday case. The last good episode of season 6.